Obituary for Mrs. Linda D. (James) Davies | Hinchliff-Pearson-West, Inc.
Linda Darlene Davies, 74 of rural Maquon, passed away at 5:35 a.m. Wednesday, March 28, 2018 at Galesburg Cottage Hospital emergency room. She was born March 16, 1944 in Galesburg, the daughter of Raymond Earl and Muriel (Hoofnagle) James. She married Brian Davies on May 28, 1966 in Abingdon. Linda is survived by her husband, Brian; two sons, Daniel Davies of Abingdon and Brad (and Michelle) Davies of London Mills; two grandchildren, Kelsey Davies and Logan Davies; two brothers, Robert James of Galesburg and David (and Cathy) James of Galesburg; and one sister, Sharon Mathews of Galesburg. 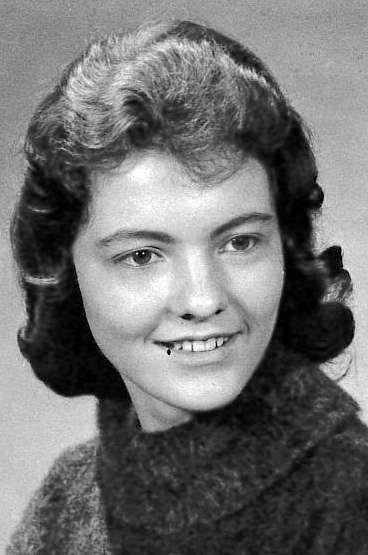 Linda graduated from Knoxville High School in 1962. She later graduated from St. Francis School of Nursing in Peoria as a LPN. She worked at Cottage Hospital and several area Dr. Offices for almost 40 years. She was an avid Ginger Jar collector and gardener, both vegetables and flowers. She enjoyed animals and feeding the birds, playing card games with family and she enjoyed watching her grandchildren at their sporting events. She also liked to take “Day Trips”. To celebrate her life, the family will receive relatives and friends in a time of visitation from 10 a.m. to noon Saturday, March 31, 2018 at the Hinchliff-Pearson-West Funeral Directors and Cremation Services Abingdon Chapel. Cremation will be accorded following the visitation. Private burial of her ashes will be in the Haynes Cemetery near Delong at a later date. Memorials may be made to the Knox County Humane Society. Online condolences may be made at www.h-p-w.com.